Pulsa has released a new Cross-Network Cellular Gateway that supports cellular coverage across 10+ carriers in the United States (including Verizon, AT&T, T-Mobile and Sprint) and over 400 carriers globally with one hardware platform. 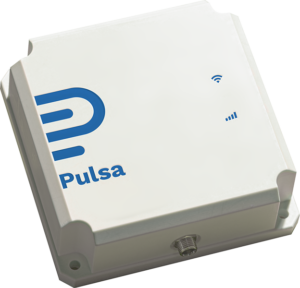 In addition, Pulsa has released a software update with several new features, including custom email triggers that allow distributors to configure their sensors to send messages upon reaching custom-defined gas level conditions. The new update also allows for sensor sharing, which means that distributors can share sensors with their customers, while continuing to manage their entire customer inventory in their own accounts. Customers can simultaneously view their own levels and predicted depletion dates, and set their own custom alerts for sensors. All software updates are available in Pulsa iOS, Android and Web applications. 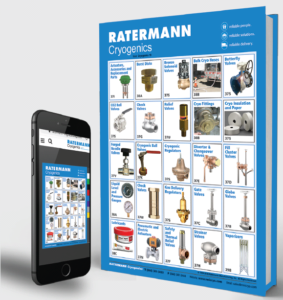 Ratermann Manufacturing has released hard-cover and digital editions of its comprehensive Cryogenics Catalog. The catalog features products such as cryogenic valves, actuators, vaporizers and much more. To provide customers with a searchable option, the catalog is also available in a digital format. The Digital Cryogenics Catalog is mobile-friendly and can be accessed anywhere from a smart phone or computer. The digital version allows customers to search by product, category, page number or product number. A user can then bookmark or take notes on their favorite pages or products. Each product is linked directly to www.rmiorder.com, allowing customers to add products to their cart and check out online. The digital catalog also simplifies communications between different departments within a company by allowing users to create a list of products to send to another department, such as purchasing. This way, the department in charge of ordering can see exactly what products are being requested and order the products by adding them to their online cart or simply forwarding the list to the sales team via email. To request the new hard-cover or digital link to the Ratermann Cryogenics Catalog, email the sales team at sales@rmimfg.com.